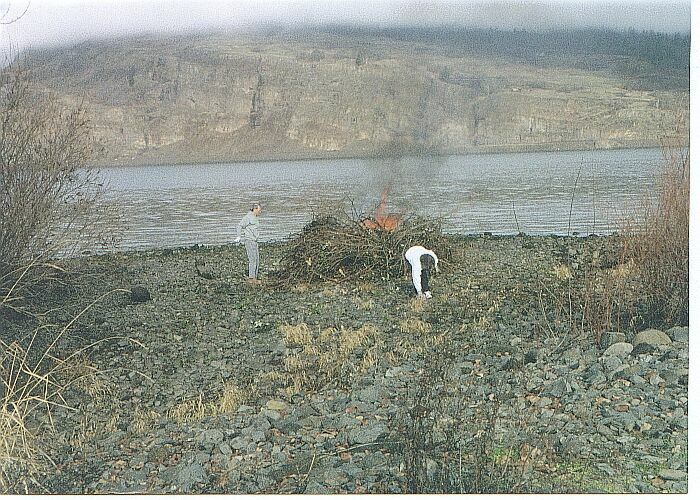 The Mosier work party turned out to be a big success. There were a number of work groups so it is hard to describe in detail all that was done. 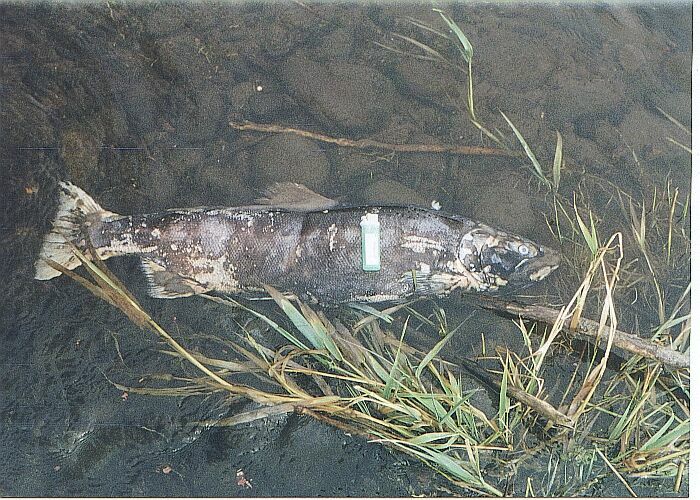 The pictures shown below are an attempt to give a feel for what went on. First we need to give credit to all those that came to help. Gay Jervey has compiled some information on our supporters. 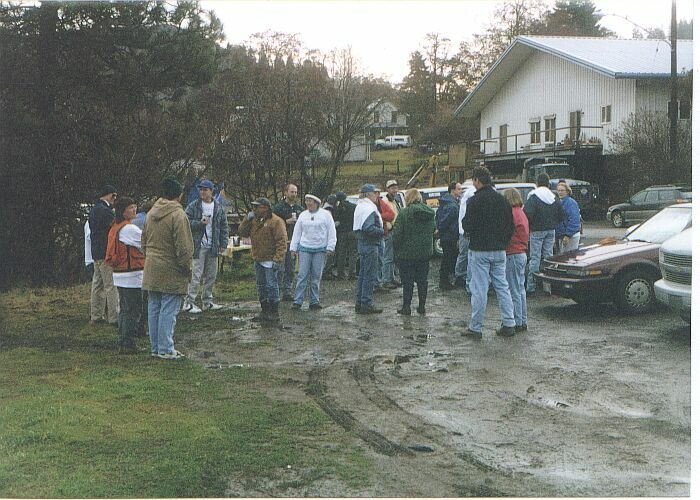 There were 119 people attending the Saturday, February 3, 2001 Monster Work Party. There were no serious injuries, despite the grueling nature of some of the work. The weather was perfect, sunny partly, not too cold, no rain. Many people worked from 9 am to 1 pm (pizza time at the American Legion). But about a third of the group stayed until 5 or 6 pm. 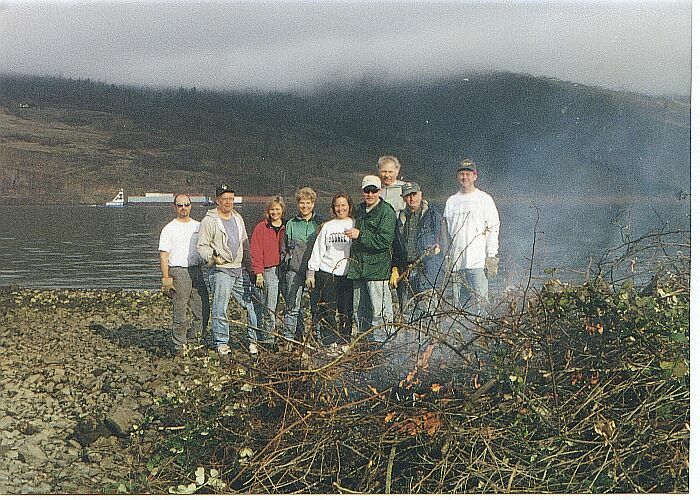 There were 9 teams working over about a mile of waterfront area. 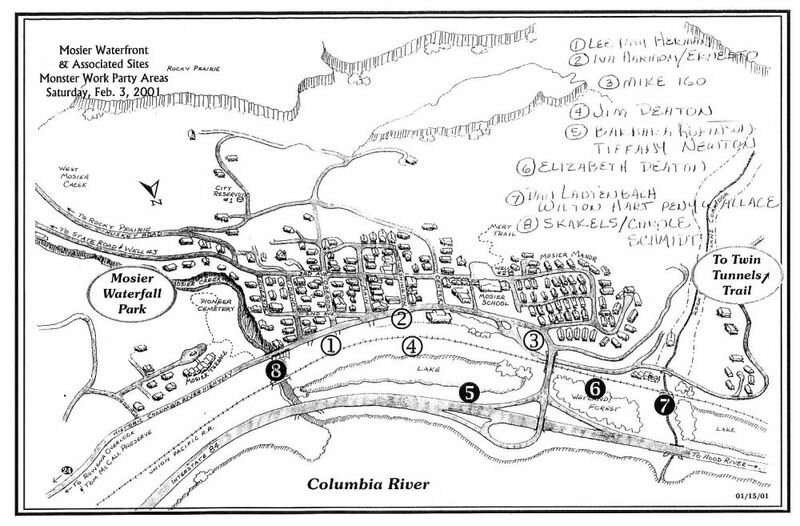 Now for some pictures and a discussion of where each was taken. 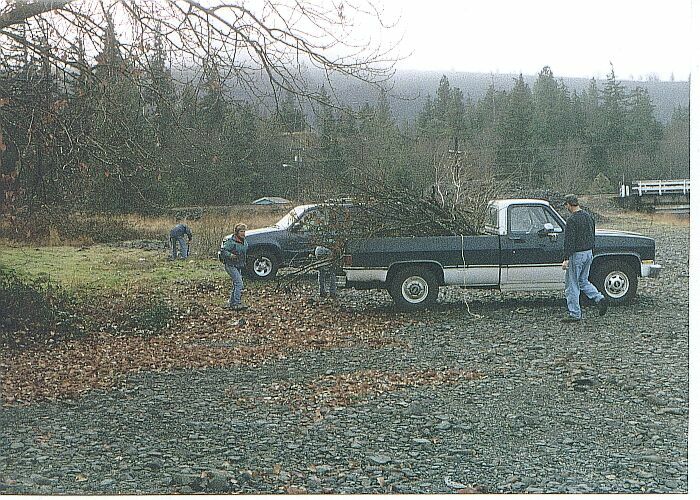 Abut 6 truck loads of tree branches and black berries were cleaned up around the Rock Creek sailing area. The West beach access was cleaned and widened. 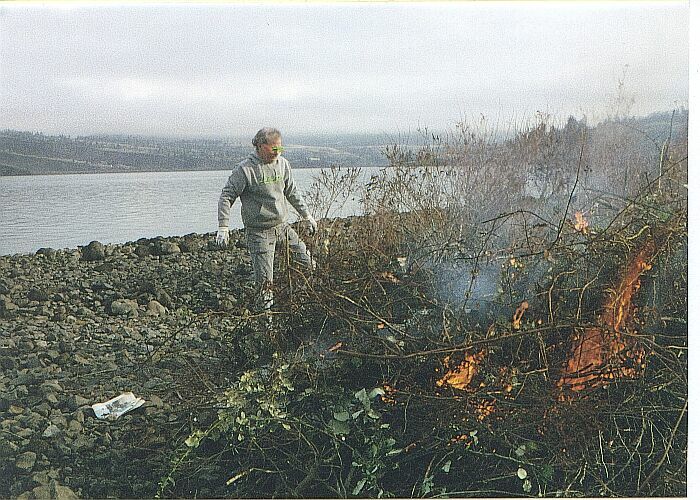 All the branches were hauled out onto the beach and burned. Doug Crow showed up with drinks mid morning. He then went and got Pizza for everyone. Everyone has a little pyro in them so building a fire on the beach seemed more fun than work. When the work was done the crew lined up for a picture. The barge was an extra. 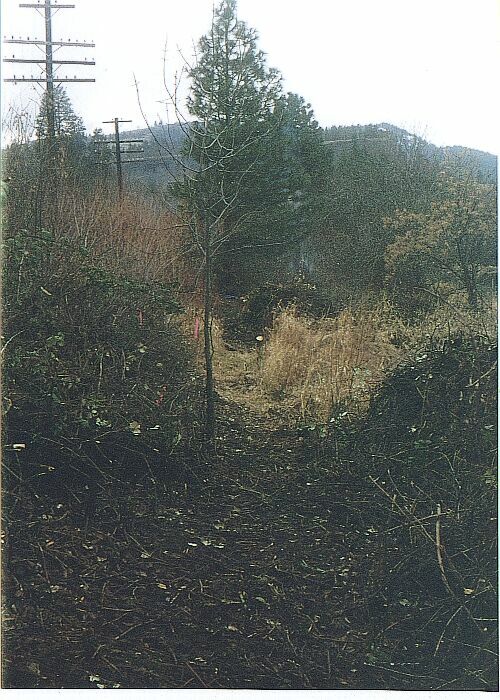 One of the main goals of the work party was to create a trail around the lake in front of the city of Mosier. 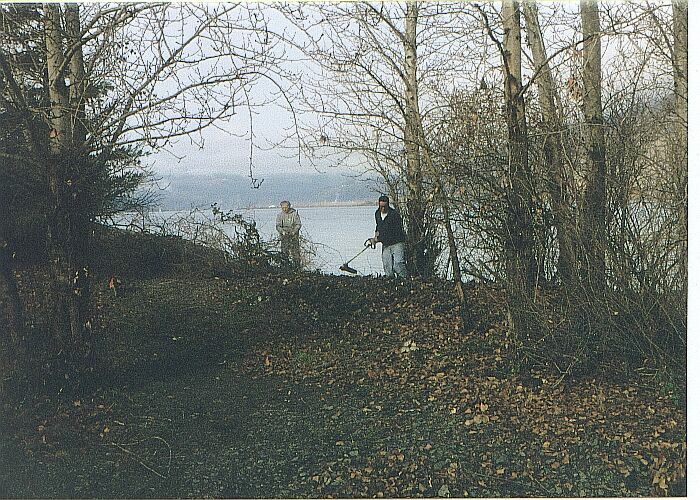 Here is Fred Noble working on the trail. 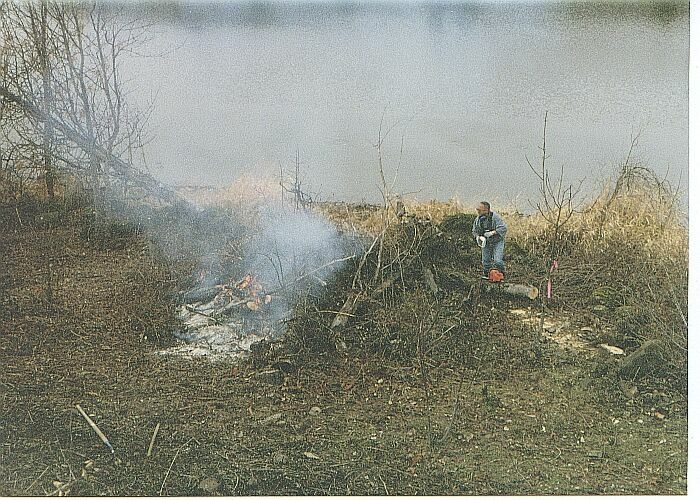 The trail was cut through some huge black berry thickets and there were at least 4 more large burn piles that were created. 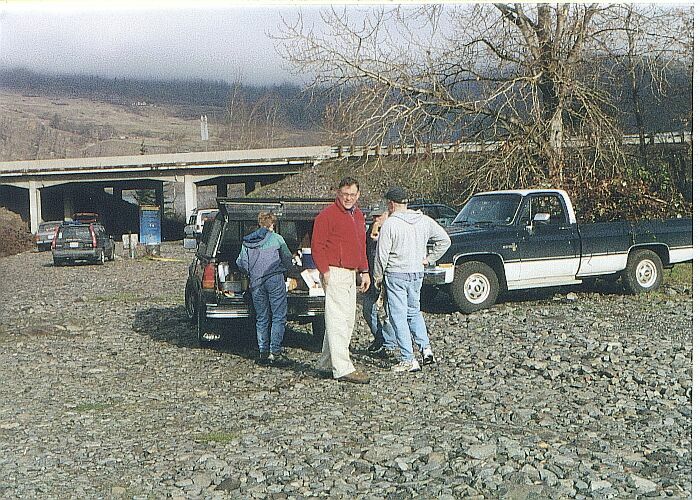 The trail starts in front of the Mosier Store and ends at Mosier Creek. 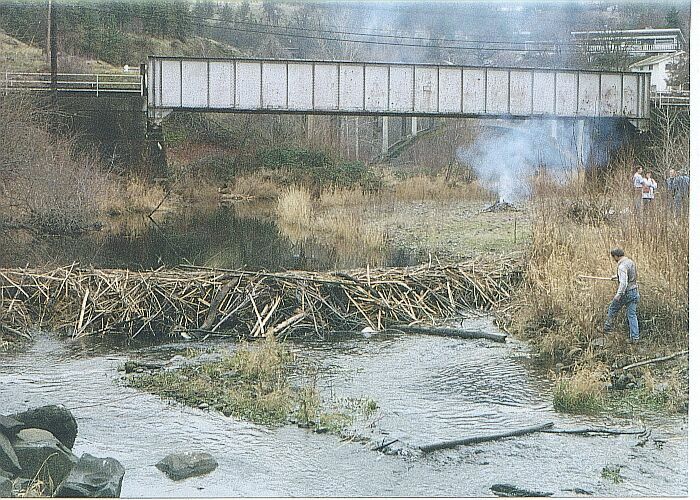 The beaver have been busy this winter building a large dam across Mosier Creek. 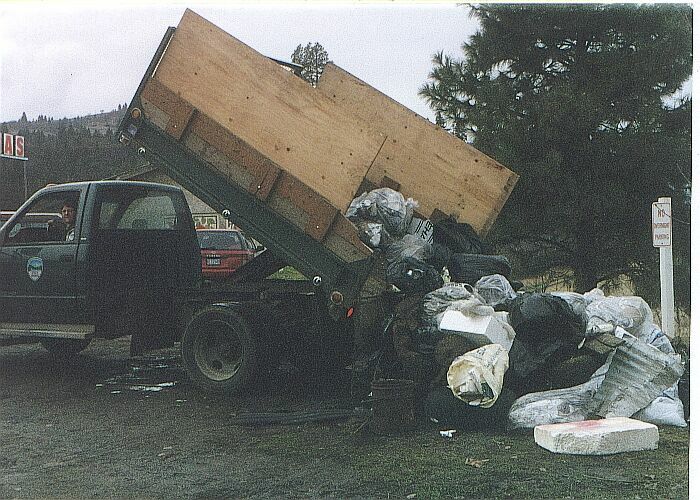 Oregon Parks provided a truck to pick up all the garbage that would not burn. There were two large piles of garbage like this. 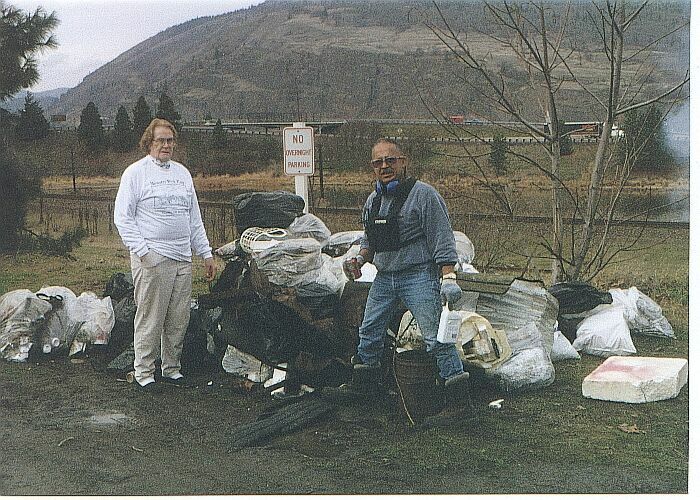 Iva Harmon and Fred Noble standing by the pile of trash. All in all it was a good Mosier work party.